Smart black finish, and easy to use controls. Cost effective too! Can be a little noisy at times - a fairly minor complaint. 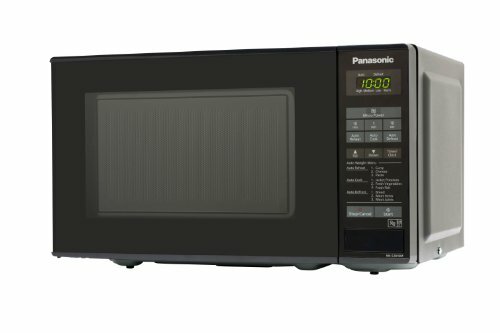 The NN-E281BMBPQ is Panasonic's entry level solo microwave, finished in a smart black exterior. Measuring just 43.7cm by 25.8cm by 33.7cm and with internal dimensions of 30.7cm by 21.5cm by 30.7cm, it is pretty small - the capacity is a reported 20 litres. Overall weight is 11kg, and so it shouldn't take up too much space in your kitchen. Power output is 800w, with 5 different power levels and 9 separate auto programs for easy usage. As a positive, the black colour scheme hides marks quite well, and is also very simple to clean, so this microwave is ideal for those of you who try to avoid cleaning whenever possible! The interior features an acrylic lining for easy cleaning and maintenance, and overall build quality feels pretty good, as you'd expect from Panasonic. The controls are well labelled and pretty self explanatory - none of our testers experienced any issues operating the microwave during the test period. 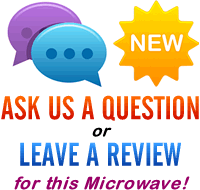 Being only 20 litres in capacity, it is probably best suited to smaller households and families - in terms of performance and value for money, we'd recommend this model if you're looking to buy a small solo microwave. 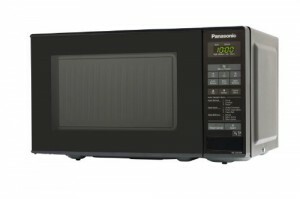 An entry level solo microwave from Panasonic - seems to be well built and feels like it will last for a long time. The NN-E281BMBPQ looks smart and works well - our testers liked this model. All in all, a good solid entry level solo microwave, which is priced competitively.